Roulette is another popular game of chance that can be played at land based, online and mobile casinos. It is quite fun and easy to play. The objective of the game is to try to guess the next winning number. Wins are paid depending on the type of your bet and the amount you have wagered. Even though it is based on pure luck, roulette fans can use certain tricks that can help them win cash and prolong their fun while playing. Continue reading to find out more. There are a couple of roulette variants like European Roulette, American Roulette, French Roulette, Roulette PRO etc. Therefore, if you want to have more chances of winning, pick a roulette variant with lower house edge. For example, in Microgaming’s French Roulette with the “La Partage” rule the house edge is 1.35%. According to the “La Partage” rule, if the spinning ball ends up on zero then half of the bets on high/low, red/black and even/odd are given back to the player. Place even money bets that pay 50-50. These are bets on red/black, even/odd and high/low numbers. Even though you win less money on them, you have more chances of hitting multiple wins and steadily increase your bankroll. You will also prolong your game and have more fun. Not everything is laid out evenly on the roulette table. If you look at the 1st 12, 2nd 12 and 3rd 12 you will notice that there are 6 red, 6 black, 6 odd and 6 even numbers. But if you look at the rows of 12, you will notice that they are slightly different. The middle row has 4 red and 8 black, while the top row has 8 red and 4 black. The red and black numbers on the bottom row are evenly displaced. This presents a strategy you can exploit. Bet either on the middle or top row if you want to make a 1/3 bet. If you win the bet, odds are in your favor that you will also win the color bet. If you lose, you still have 48.64% chance of winning the color bet. It is advisable to avoid roulette betting systems like the Martingale. The strategy is used on the even chance bets. You bet on red and if you lose, you double your bet until you hit a win. Then you return to your original bet. The Martingale strategy should be avoided because you can easily reach the table limit and lose your entire bankroll. You can make your money last by managing your bankroll. For example, don’t make a straight bet and bet all you have. In addition, set limits on how much you can wager on a bet and how much money you can afford to lose. This will allow you to play longer and have more fun. To make your money last you should also consider decreasing your bets when you are losing and increasing them if you are on a winning streak. Always cash out the amount you win and play with your originally set bankroll. For example, if you start playing with $50 and you manage to increase your bankroll to $100, cash out the extra $50 and continue playing with your original $50. Controlling your temptation to make more bets in future is probably the most important roulette strategy for any roulette player. The roulette tracker is a tool in online roulette that records the numbers that have been hit during a gaming session. Many players believe that this can help them guess the next winning number or device a strategy. The truth is, the outcome of a roulette gaming session is determined by the random number generator, therefore, it is totally random so any strategy made with the help of the roulette tracker is probably useless. Find a good basic Roulette strategy to use here. Knowing your Roulette glossary well is a plus. Can't play without understanding the rules first. This game is full of rich history. Read more. Common FAQ's for online casino players. 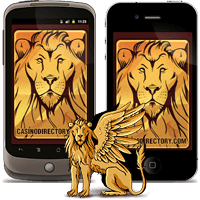 Fully rated and reviewed casino games. Must see!